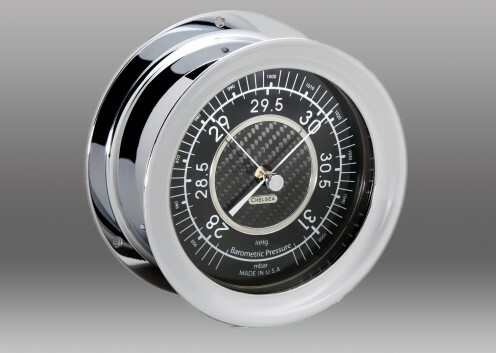 Our Carbon Fiber Barometer features a lacquered solid forged brass case with chrome finish, screw bezel, a double bellows holosteric barometer movement and a carbon fiber etched dial with both inch and milibar scales. 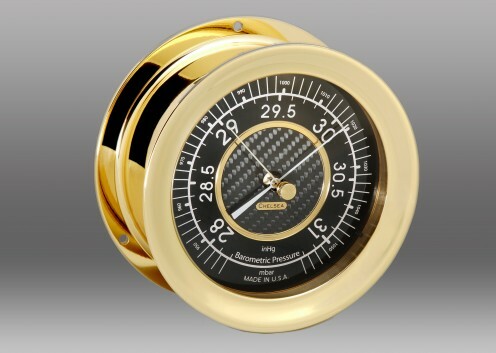 Barometer movements are automatically calibrated for altitudes up to 2,000 feet, and can be factory-adjusted for altitudes up to 5,000 feet above sea level upon request when placing orders. 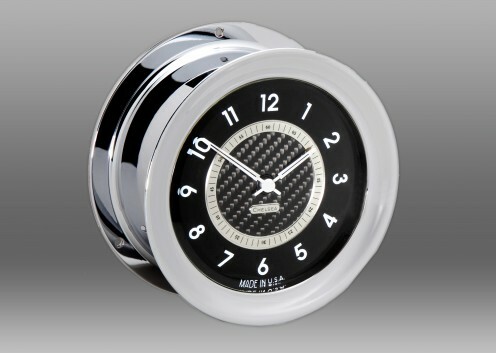 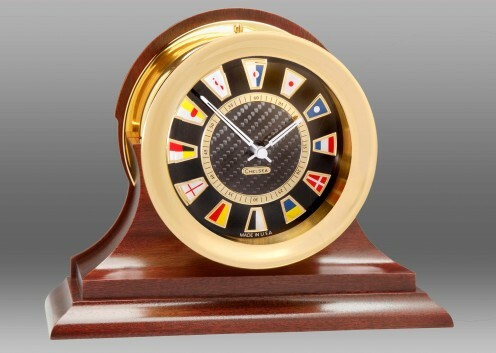 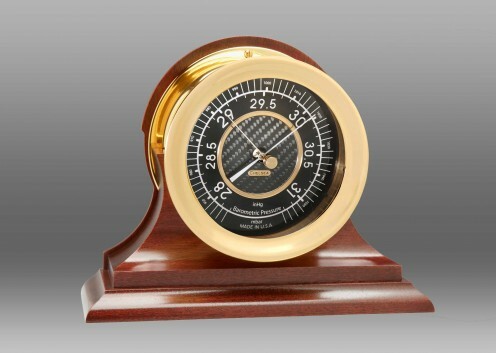 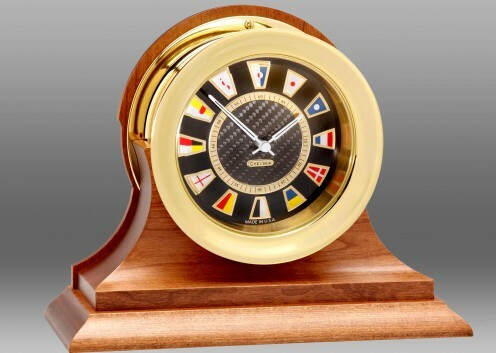 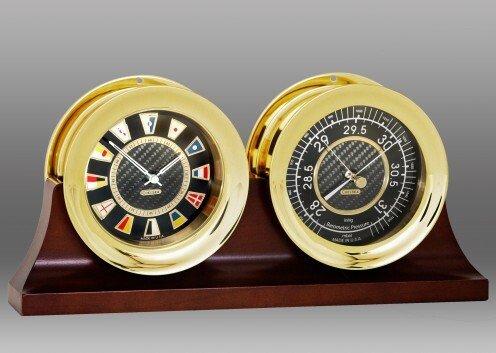 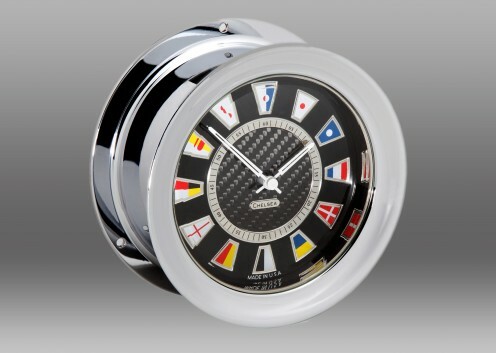 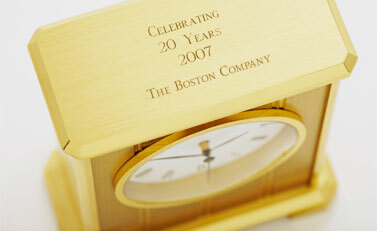 The Carbon Fiber Barometer is offered in Nickel or Brass finish, click change product options above to see all of the Carbon Fiber Clock product options.